Spray foam insulation is gaining popularity among home owners everywhere. With the tax credits offered by the IRS, it is a great way to save money while insulating your home. 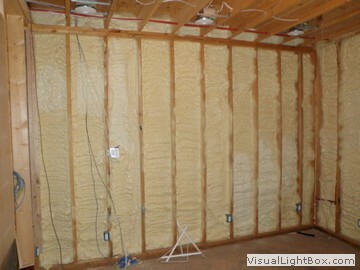 Polyurethane foam is what spray foam insulation consists of. This is the same kind of insulation you will find in your refrigerator and water heater. This liquid polyurethane expands, when sprayed onto the area you are insulating, creating a barrier that is seamless and continuous. It has the ability to fill all the tiny cracks and holes that other traditional type insulation materials might miss. This is important for energy costs since warm and cold air can seep through these cracks and holes. In addition to being so energy efficient, it helps control moisture problems. It is also fire and insect resistant, and you won’t have to worry about it shrinking or settling in to your walls. The R-value is a rating that measures the insulation’s ability to resist heat. Polyurethane has the highest R-value of all the insulation materials available. Because of this, homeowners using this type of insulation can save money on the framing costs of their homes due to the smaller size of the wood that can be used. The amount of living space can also be increased by using these smaller sized studs, therefore increasing the value of your home. To apply spray foam insulation, you will need to hire a contractor who is experienced in the whole process. This is not a do-it-yourself job that can be simply completed by anyone, and you will want the application done properly to avoid a huge disaster. Give our trained professionals a call today and see what they can do for you to assist you in insulating your home with this wonderful material that will not only insulate you home better than traditional methods but will better protect against mold and cold with the added benefit of noise reduction. Our trained professionals are waiting to hear from you so call them today. There are many different ways that you can improve the energy efficiency of your home, and there are also many little factors that go overlooked by the majority of home owners. These can be thigns from improperly sealed windows and doors, to a lack of insulation in certain areas of your home. If you want to improve the energy efficiency of your home and maximize your savings, you will need a visit from a total home efficiency specialist. By turning to the experienced team at Southeastern Insulation, you can get the very best in home efficiency solutions and see yourself saving more than ever before on your heating and cooling costs. You cannot go wrong in turning to our expert staff, who will help you save considerably on your yearly costs! 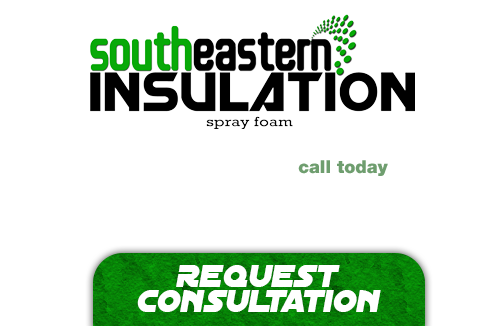 If you’re looking for a professional Braselton Spray Foam Contractor, then give us a call today at 678-561-FOAM or complete our request estimate form.